Business Visa cards and business Visa debit cards provide great payment flexibility for businesses in the U.S. Visa debit and credit cards are the most popular type of major credit card. In 2016, there were an estimated 311 million Visa cards in circulation in the U.S.
Visa cards are popular for businesses for several reasons. They give businesses the ability to make daily purchases without reimbursement or purchase approval processes. Some business Visa cards also offer robust controls to business owners so that they can keep their spending in check. Finally, business Visa cards are accepted by millions of merchants in the U.S. and the world. In 2013, an estimated 9 million U.S. businesses accepted Visa cards. In 2015, 40 million businesses around the world accepted Visa cards as methods of payment. What is a business Visa card? What are business Visa debit cards? A business Visa card is a credit or debit card that is created to meet the needs of businesses. In order to get business Visa credit cards, business owners and their businesses must submit to credit checks and be approved. Business Visa credit cards have revolving credit lines attached to them. Purchases that are made are charged to the credit lines, which must be repaid. Business Visa debit cards do not require credit checks. They are not credit cards but are instead linked to the company’s own account. Purchases that are made are subtracted from the balance rather than adding debt. How does a Visa debit card work? The Bento for Business Visa debit card does not require a credit check. It is not a credit card. Instead, business owners choose the number of cards that they want from different packages. The owners then deposit however much money that they want into an account. Funds held within Bento are FDIC insured to at least $250,000 through The Bancorp Bank; Member FDIC. From the account, the business owner can then choose how much money to fund each card with. The owner can place different amounts on different cards and set individual spending limits. The employees can then be given their own cards to use to make purchases or payments for the business, and the money is subtracted from the funds that the business owner placed on the individual cards. How do I find the best business visa card? To find the best business Visa card, it is a good idea to conduct some research into the terms that different cards offer. You should also read reviews on trusted websites. For example, the Bento for Business Visa debit cards have in-depth reviews of the key features on Intuit’s website, which is the maker of Quickbooks. In addition to Intuit’s review, there are also user reviews of the card and its features that you can read. The review by Intuit discusses the different features of the business Visa cards and how they work with Quickbooks for accounting purposes. How can a business Visa card help grow my business? Business Visa cards can promote the growth of your business in several ways. In today’s business world, it is important for companies to be able to make purchases when and where they are needed without having to contend with high rates of interest or time-consuming and expensive payment approval processes. The Bento business Visa card does not charge interest since the money is your own. You also will not add to your business’s debt when purchases are made but will still enjoy the flexibility to make certain that your payments are paid on time. This can help your business to control its expenses so that your company can concentrate on expansion and growth. 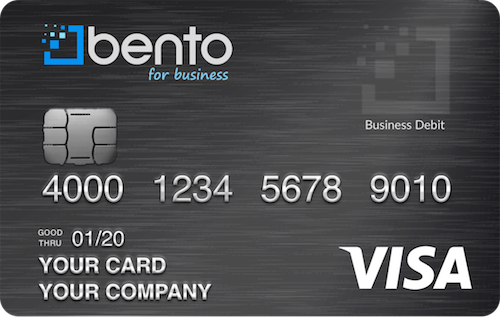 A business Visa card from Bento for Business gives you powerful controls over your business expenses. You can decide how much money to load onto an individual business Visa card. You can control when an employee can use his or her card, how much he or she can spend, and what he or she can buy. The cards give you 24/7 access to the transaction data. You can log into your dashboard at any time to check a card’s balance and to see what has been purchased. You are able to instantly turn off a card if you identify issues. Any unauthorized transactions or business Visa cards will be declined at the point of sale. These features can help you to prevent losses at your company from waste and fraud. A Visa debit card for business is not a credit card, so you will not have to wait for your credit to be approved before you can get the cards. Debit cards do not charge interest on your card balances or purchases because you and your employees are spending your company’s money instead of funds from a loan from the card issuer. Visa debit cards can be used anywhere that Visa is accepted, which includes a majority of merchants and businesses in the U.S. and online. The Bento for business Visa debit cards also allow you to turn them off remotely, which you cannot do with business credit cards. In addition to the Bento for business Visa debit card solutions, Bento also offers virtual card solutions for businesses. While debit cards are plastic cards that your employees can carry and use to make purchases, virtual cards are not plastic. Instead, they are randomly generated credit card numbers that are linked to your account but cannot be used by thieves to access your money. Virtual cards allow you to generate a card number to make a single purchase from a specific vendor. After the number has been used, it will not work. Virtual card solutions might also include procurement cards that allow your employees to make purchases over a longer period of time. Finally, ghost cards are numbers that you can assign to individual departments within your company so that you can track your business expenses across the departments. The Association of Certified Fraud Examiners reports that small businesses are much likelier to suffer substantial losses from fraud than are larger companies. The median loss that small businesses suffered in fraud incidents that were investigated by fraud examiners in 2016 to 2017 was $200,000, which was almost twice as much as the $104,000 median loss that was suffered by larger businesses. This is because small businesses often do not have robust fraud detection practices in place. Best practices should include never giving one person too much power over the company’s accounts. You should always have a minimum of two people who check each other’s work. There are other fraud detection best practices that you should implement. You can check your company’s risk of fraud and learn more about the best practices by using our free fraud calculator. A fraud case that was recently reported by the Associated Press happened in Phoenix, Arizona and involved substantial expense fraud that was committed by the former CEO of the city’s mass transit system. According to reports, Stephen Banta made fraudulent expense reimbursement claims totaling $32,000 for meals, alcohol, and personal travel for himself and his wife. He claimed that the expenses were work-related to secure reimbursements of them. An auditor found that Banta had spent $22,000 on 48 trips for him and his wife to Portland, Oregon over a two-year period. Banta falsely claimed that the trips were related to his relocation expenses despite the fact that he had lived in Phoenix for two years. He also charged $10,000 in meal and alcohol expenses, falsely claiming that transit officials attended the dinners. Banta entered a plea of guilty and is scheduled to be sentenced on Nov. 7, 2018. He worked as the CEO from 2010 until late 2015 before he was caught. Had their been more oversight of the CEO, including debit cards with built in controls, this would be less likely to happen. In a fraud case that involved a check-writing scheme, an office manager of a Williston, North Dakota oil company stole $1.5 million from her employer over a six-year period from 2011 to 2017. The office manager, 56-year-old Barbara Langerud, wrote company checks to herself from the account of Imperial Oil. Langerud had been instructed by Imperial Oil to close the account in 2011, but she did not. She instead left it open so that oil royalties could continue coming in so that she could steal them. The account was located at First International Bank in Williston. It is unclear how Langerud was caught by the company. Had their been better built in fraud and accounting controls the fraud risk likely would have been significantly lower. The first fraud case study above illustrates a common problem with reimbursements. Some employees, including trusted workers, will submit fraudulent claims for the reimbursement of personal expenses. Employees who are expected to spend their own money for their employers also may become unhappy if it takes too long for them to be repaid. When you use business Visa cards, reimbursements are unnecessary. This is a great benefit for both employers and employees. Employers can avoid problems of reimbursement fraud, and employees will not have to wait to be repaid after spending their own money for the company. It is vital for the success of small businesses to have good expense management practices in place. Good expense management can help to tamp down ballooning costs and help you to prevent losses. You should start by drafting and implementing a clearly defined expense policy and make certain that your employees are trained over it. Implementing global expense management solutions at your business such as using business Visa cards and strong accounting software can help. You should also routinely check your accounts and your cards so that you are aware of where your company stands at all times. When you use the debit cards from Bento for Business, implementing your expense policy can be much easier. The business Visa cards let you restrict what purchases each employee is allowed to make so you can avoid the problem of unauthorized purchases. The cards also prevent your employees from accessing your accounts so that you don’t have to worry about thefts. When your employees use their cards to buy items or to make payments for your company, you can see details of their spending from your smartphone or laptop at any time. You can also turn cards off remotely if a card is lost or is misused. The data from the cards automatically upload into your bookkeeping software, helping to make accounting easier. An example of how Bento for Business Visa debit cards work in action can help to show how they might work for your business. The business owner might give cards to the company’s employees to make purchases according to their jobs. The employees can use their business Visa cards to make authorized purchases only and will not be able to buy things that have not been approved. When an employee makes a purchase, he or she can take a photograph of the receipt so that there is an electronic copy attached to the transaction information. The transaction data can integrate with the company accounting software and upload into the correct expenditure category automatically. When the accountant reviews the books at the end of the month, it will be much easier to balance the accounts and to create reports. The company’s boss can review the information that has been collated and make budgetary adjustments s needed. How do I get a Visa card for business? To get a Visa debit card for business, you can research different companies online that are offering them. Make certain to check comparisons of the different companies and the features that their cards offer. 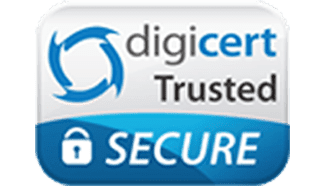 You are able to apply or Visa debit cards for business online from several different card issuers. The price of the cards is also important. For example, Bento for Business allows small businesses to get up to two cards for free, and they can order up to 10 cards for $29 per month. There are packages that are available to meet the needs of businesses of all sizes. To understand how the Bento Visa debit card might work for your company, imagine that you own a small construction business. You give your flooring employee a card with a $500 balance that he can use to buy tile and other flooring materials at your local home improvement store. If he tries to buy any items that aren’t at that store, the purchase will not be approved. Your office manager might be given a card with a limit of $200 to pay for office supplies. If she tries to use her card to buy food at a restaurant, the charge will be declined. Any attempts to make unauthorized purchases can be seen by you when you log into your online dashboard, and you can turn business Visa cards off remotely by tapping a button on your smartphone. Bento for Business was founded by professionals from the financial industry who were interested in offering smart expense control and payment solutions for small businesses with their debit cards. The company has thousands of satisfied business customers and enjoys excellent user reviews. You can try out the cards during a free 60-day trial by filling out your information. If you have any questions, you can call us at 866.220.8455.